If you happen to live within the US borders, you just got real happy. Why? 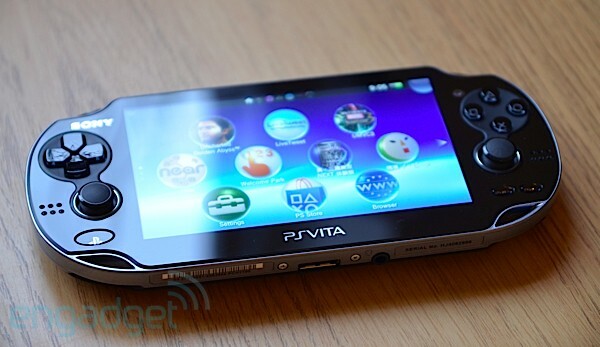 Because Gamestop has just said that it has equipped "over 3,300" of its retail stores with PlayStation Vita demo kiosks. When you are there you can also demo some of the upcoming titles, such as Uncharted and wipEout 2048. This is perfect if you are not sure if you are going to get one yet, or just want to go hands-on with it before the first edition bundle comes out on the 15th or the official launch at retail and video game stores on the 22nd. Also you should note that if your Gamestop has the Vita behind glass and you are not allowed to touch it, Bestbuy is doing the same thing also. Anyways, that is two ways to get your hands on the Vita before it comes out. And if you want to see the Japanese review from Engadget, click here. Below is the press release. "We are excited to be the first retailer where consumers can experience the PS Vita," stated Bob Puzon, vice president of merchandising at GameStop. "We are impressed with how the quad-core technology brings gaming to life and are confident consumers will be, too." To help consumers trade up to the PS Vita, GameStop is offering an extra $25 on the trade-in of a Nintendo DS, Nintendo 3DS or Sony PSP system toward the purchase of the new system. To learn more about the trade up offer or to find a GameStop store with a playable PS Vita demo unit, visit www.GameStop.com/PSVitaDemos. The bundle is valued at $435 and will sell for $349.99 - an $85 bonus value. PlayStation Network game voucher provided upon 3G activation for $299. This bundle is part of a promotional offer and availability is limited.